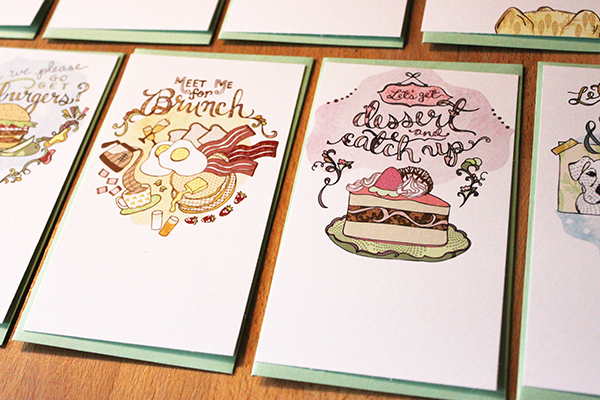 One more preview and I’m off to the National Stationery Show! This is a page from my new catalog. Lots of pretty images and patterns. One of my favorite new designs this year, this one is called Rock. This is for telling the person you love most in the world how much they mean to you, using all of the nature metaphors at once. 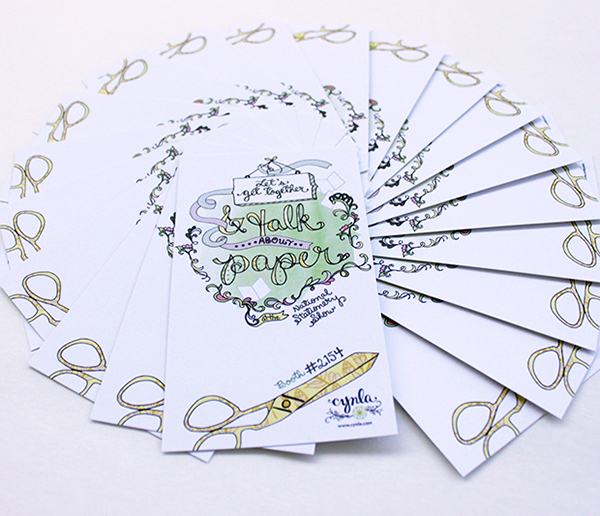 This card and print will be debuting at the National Stationery Show in May. If you’re a wholesale buyer or shop owner, please contact me for more details and ordering information. You may also view my NSS preview gallery. 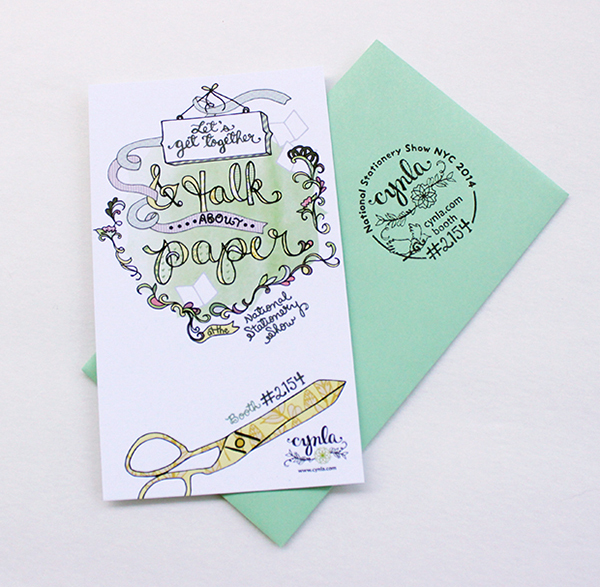 Hope to see you at the National Stationery Show, Booth #2154! 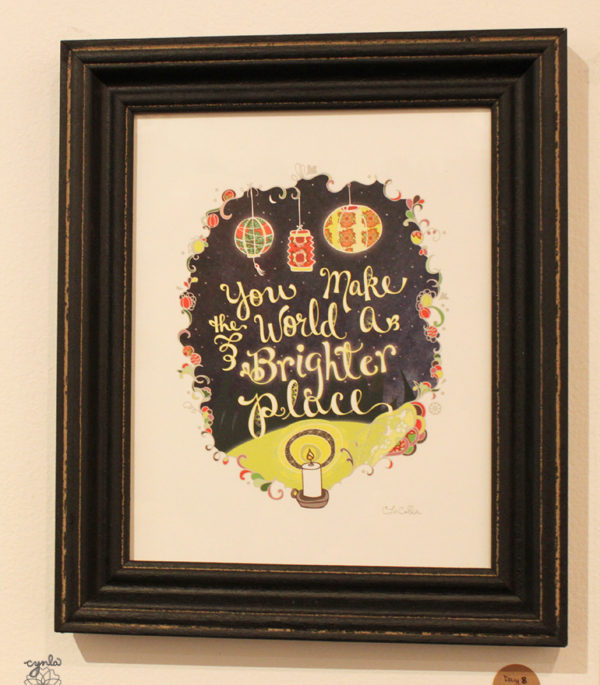 The Brighter Place Catalog is the first with my new logo and refreshed brand. 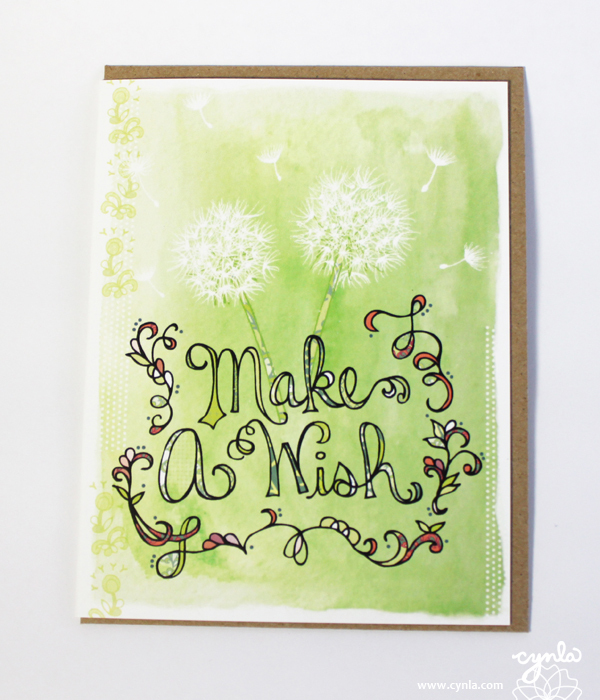 I have been focusing on hand lettering, more lush, intricate patterns in my designs and blank cards intended for boutiques. 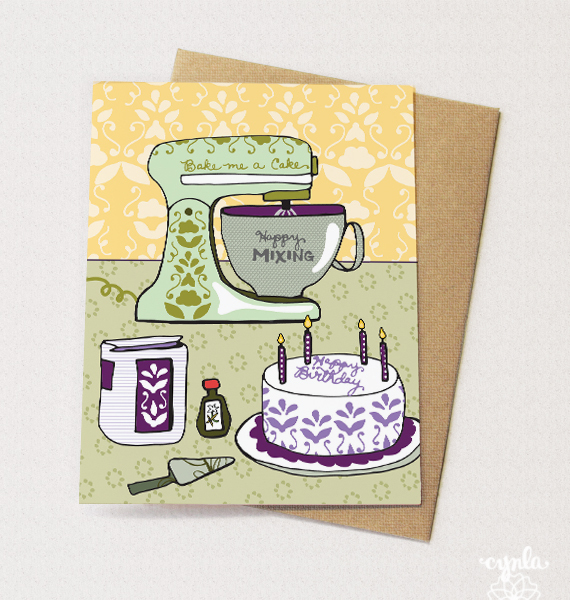 My birthday line is filled with kitchen appliances and pretty wish designs. 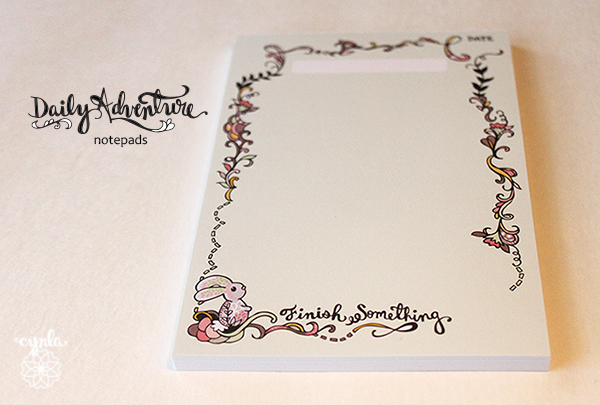 There are new illustrated notepads intended as gifts for brides, gifts for new parents, and the daily adventure. 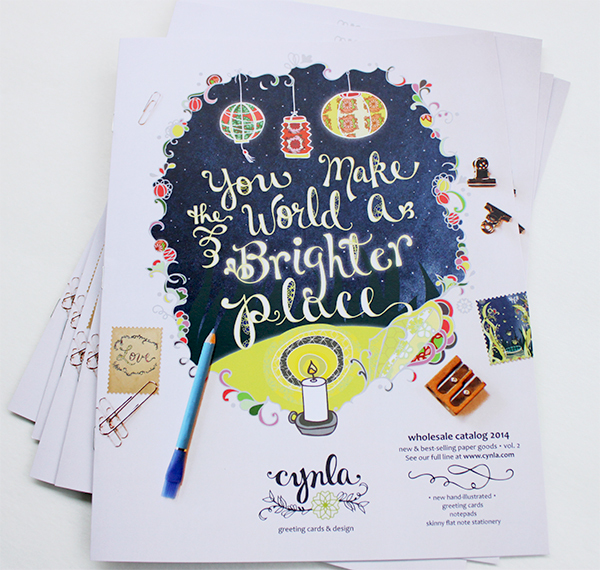 Also introduced in this catalog are my skinny flat notes which are casual invitations to invite people to a coffee and chat, to get together for cheeseburgers, and even to “get together and talk about our cats.” I worked really hard this year to develop my style for Cynla. I hope you like it! I did a short 8-page printed catalog with an option to download a full 20-page one online. The full catalog has lots of gorgeous full-page images and patterns and the complete lineup of cards. If you’re a retailer or shop, please contact me for the link. I was going to wait until it was painted and finished – but I can’t wait any longer! I had a wooden sign cut by my friends at Contour Woodworks inc. Anton took my logo, threw it into this complicated program that tells a robot of a machine to cut out the lines. My logo is pretty detailed but 2+ hours and a couple drill bit changes later, it looks amazing. It is really cool to watch this machine in action. I really loved the wood/white look but they didn’t recommend leaving it unfinished. The board is a lot thinner where the relief is, so it would warp if it wasn’t painted. It’s now all white and waiting for my logo colors to be added. I’ll post more photos once it’s done! 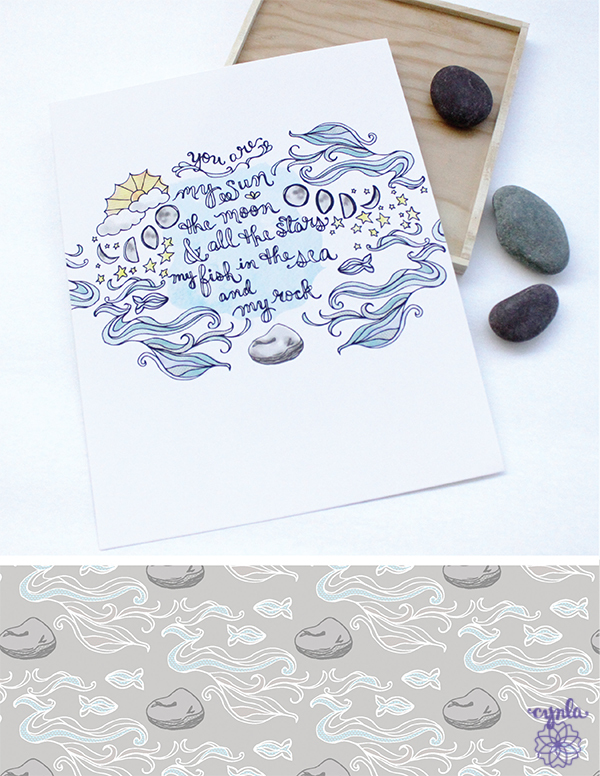 It will be up in my NSS tradeshow booth (#2154) and I can’t wait until everything comes together. 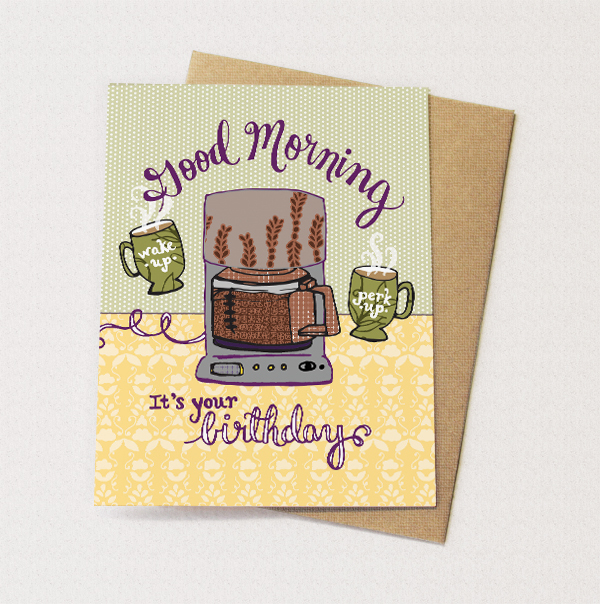 Anyways, hope you like the card. 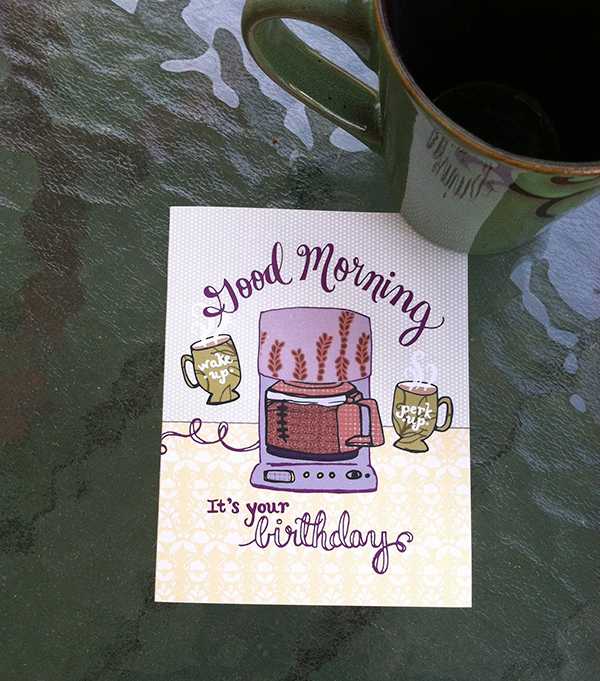 Nothing like a good cup of coffee to get your birthday started. 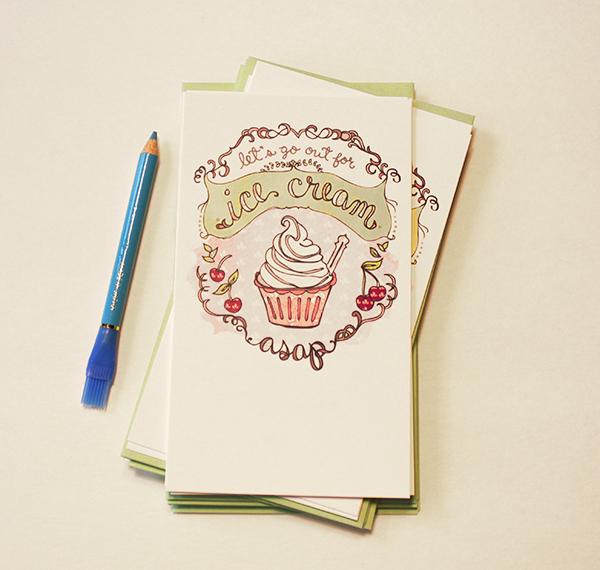 This card will be debuting at the National Stationery Show in May. If you’re a wholesale buyer or shop owner, please contact me for more details and ordering information. You may also view my NSS preview gallery. 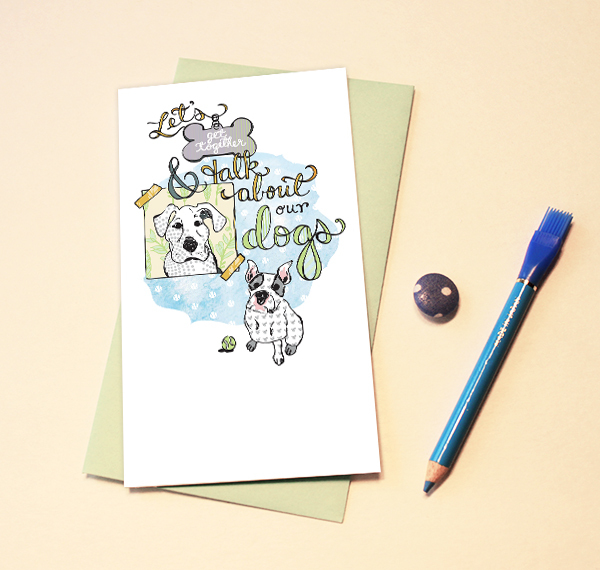 Hope to see you at the National Stationery Show, Booth #2154! 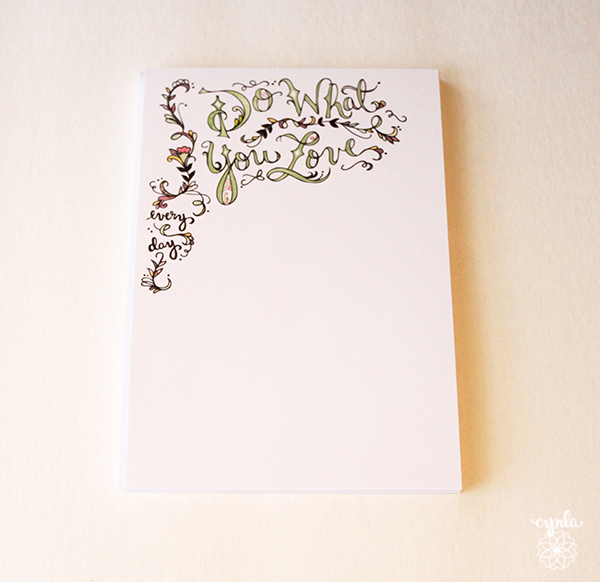 This is another one from my new Get-Together series of skinny flat notecards. They come 8 in a pack so you can get together with 8 dog-lovers. Don’t worry, there is also a cat one! No long story behind this one, just inspired by how long I can talk about my cats for.. and there are only certain people who don’t mind it! Now I can send them personal invitations to talk about our pets. My Japanese mom had this old rice cooker she used while I was growing up. It has always made perfect rice and the ding announces when dinner is ready. When I went off to college, she decided to upgrade and I dragged it to my dorms with heavy bags of Japanese rice. I couldn’t live without rice! She has been through 3 fancy rice cookers since and she always has complaints – too small, too loud, the rice comes out weird.. but I still love this rice cooker and she’s not getting it back – sorry mom. It has been making perfect rice for me in 4 college dorms, 5 NYC apartments and 2 Beacon homes, and I hope it lasts a really, really long time. I decided to immortalize it in a card. 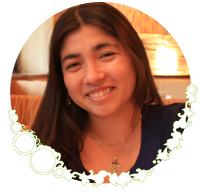 For all of your rice cooker-owning friends who love their rice cooker as much as I do. It’s part of a new classic kitchen series. Brunch and dessert both have to be in the top 10 of my favorite things. These are part of a new series of skinny flat notes that I made. They have space on the front and back to write and come with a mint envelope. All of my NSS previews can be seen in this gallery. If you’re a wholesale buyer or shop owner, please contact me for more details and ordering information. 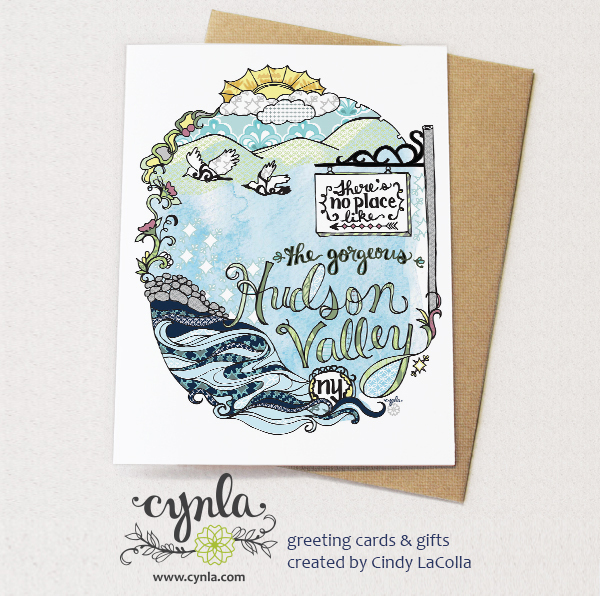 Hope to see you at the National Stationery Show, Booth #2154! That’s right. 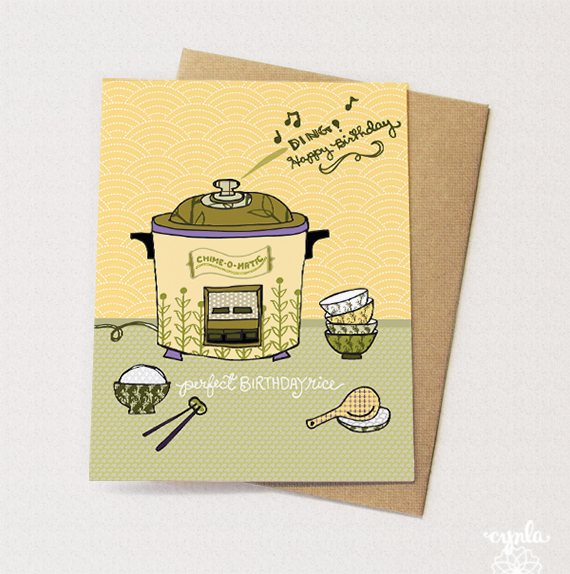 A crockpot card. Have a warm and happy birthday. 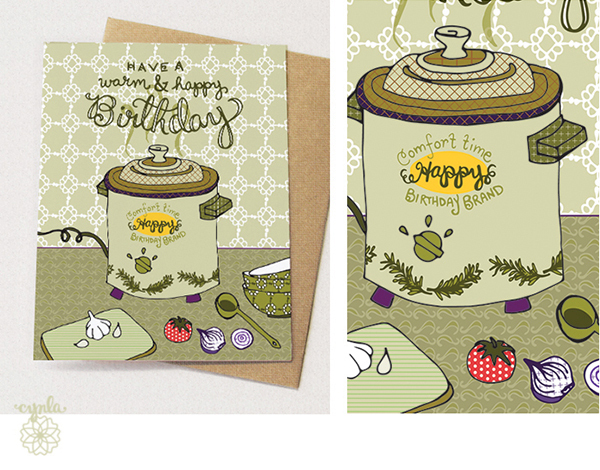 Part of a series I’m doing of classic kitchen appliances and foods. These are inspired by my mom’s vintage kitchen. She had this vintage crockpot that she didn’t give up until the bottom finally just dropped out. Sweet n sour meatballs all over the table. And by table, I mean ironing board. True story. 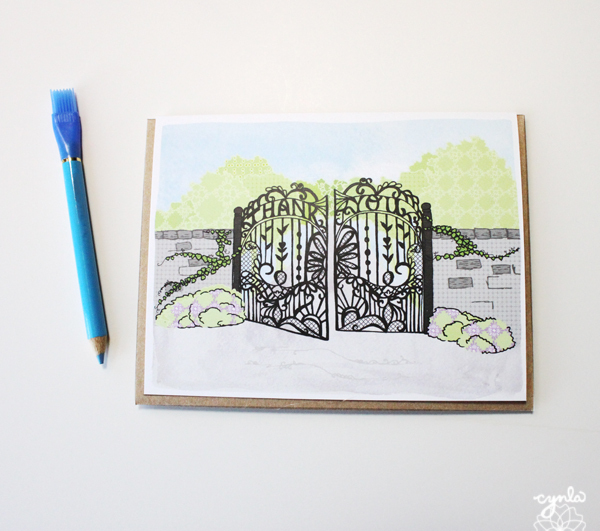 I’ll be uploading lots of new products that are debuting at the National Stationery Show in this NSS Preview Gallery. If you’re a buyer or shop owner, please visit our wholesale page for more information. I’ll be in Booth #2154 at the show! 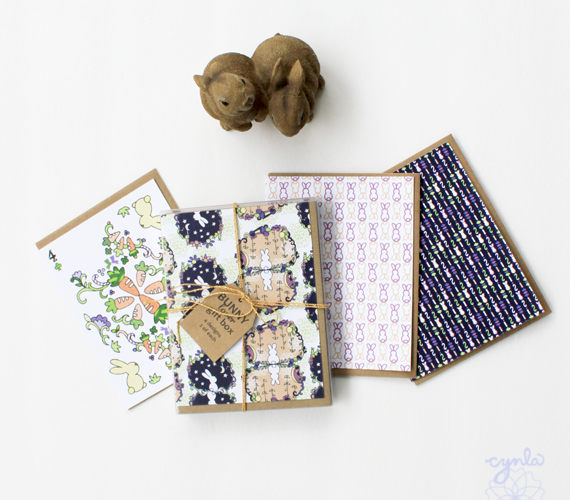 Just a little preview of my new notepads debuting at the National Stationery Show in May. It’s less than a month away and I’m busy getting all of my new products ready to display! 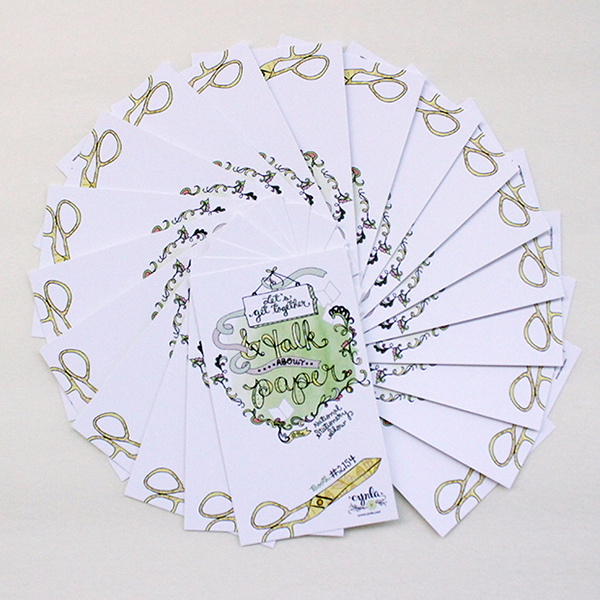 There are 6 new illustrated notepads. These two are for the Daily Adventure and I feel like they’ll help me get my priorities straight. They’ll be available in my shop after the show. Happy Weekend! Hope you have a relaxing one! 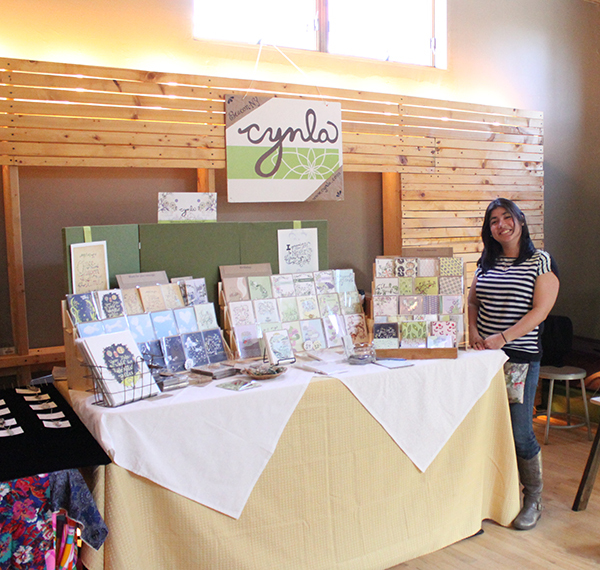 Here are some photos from the Bazaar-On-Hudson. My friend Aileen never forgets to take pictures – I’ll have to remember to take some good ones next time as well. (She’s in the 3rd photo with me – Thanks Aileen!) Thank you to everyone who came out and supported. Bazaar on Hudson is an indoor market taking place from April – July. Look for the Palen’s drug store space on Main street in Cold Spring, NY. You may have noticed a new logo popping up.. I’m excited to announce a slight “refreshing” of my logo! 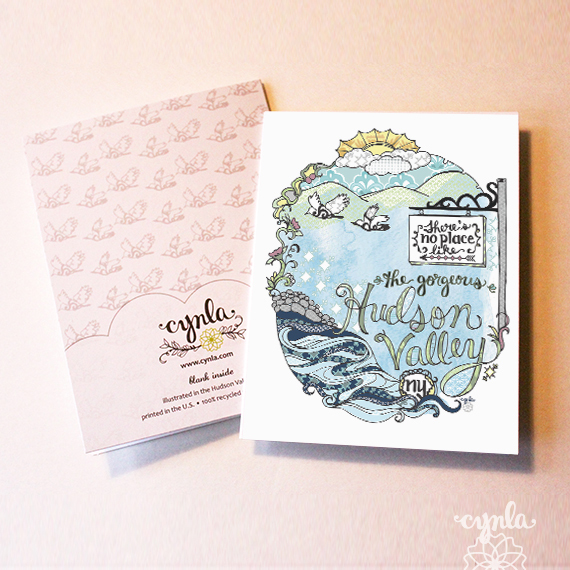 I created my first cynla logo when I started my business and drew the first greeting cards. I remember thinking it was hard to create a logo when I didn’t know what direction my cards were going to go in. I had to create something that reflected my brand, screamed cynla, and that I could live with (those are my requirements anyways), before I had really started getting into designing my cards. Now I want a logo that I love. I’ve refined my hand lettering and really have more of a sense of the art I want to make. It has a whole different feel from the old one. I’m still getting a sense on how to handle it – the old logo always needed to be dressed up, but this one is already dressed. 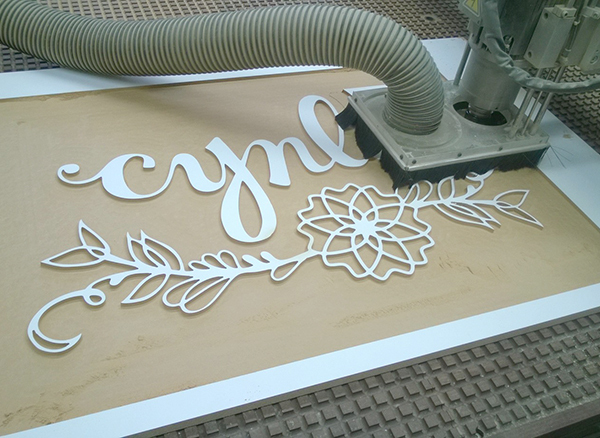 The word cynla has a couple different lines of symmetry to it and I tried to bring that into this one.. the lines in the y and the l, the c and the a, even the y and n. However, I still wanted it to look handmade and not like a perfect font. 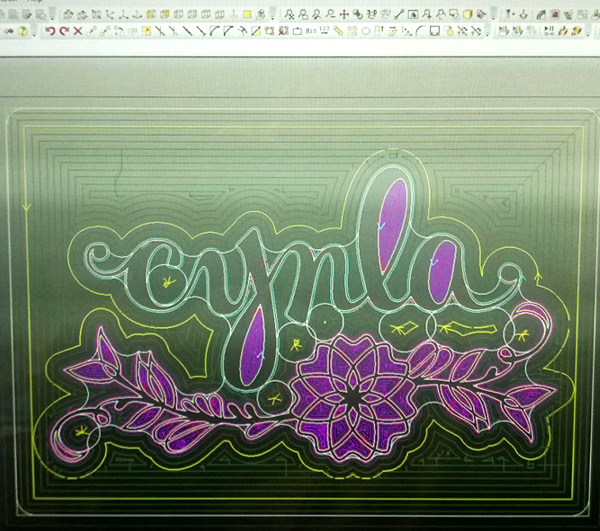 One day I’ll draw “cynla” into one of those ambigrams that look the same when flipped… but not today. 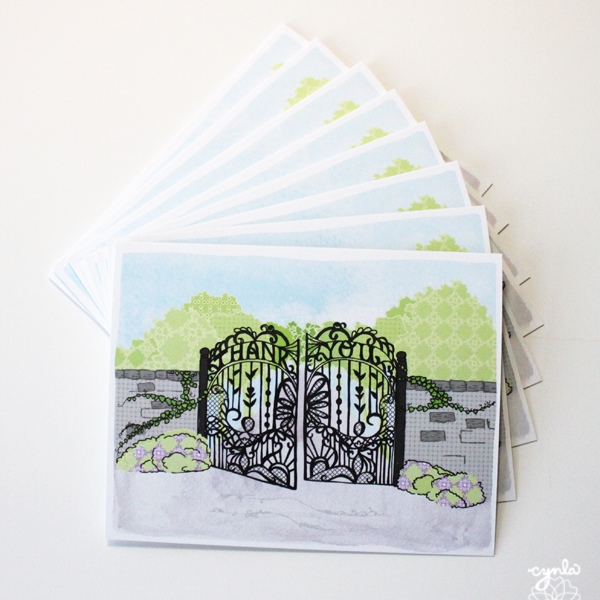 I’m slowly updating all of my web content, cards and products with the new design. Let me know what you think! Please leave a comment below. Here it is again, getting some sun. I haven’t been reading as much (been doing a lot of computer work and screen-reading) so I’m glad to have a little inspiration to pick up an actual, 3-dimensional book. Isn’t this book pretty? 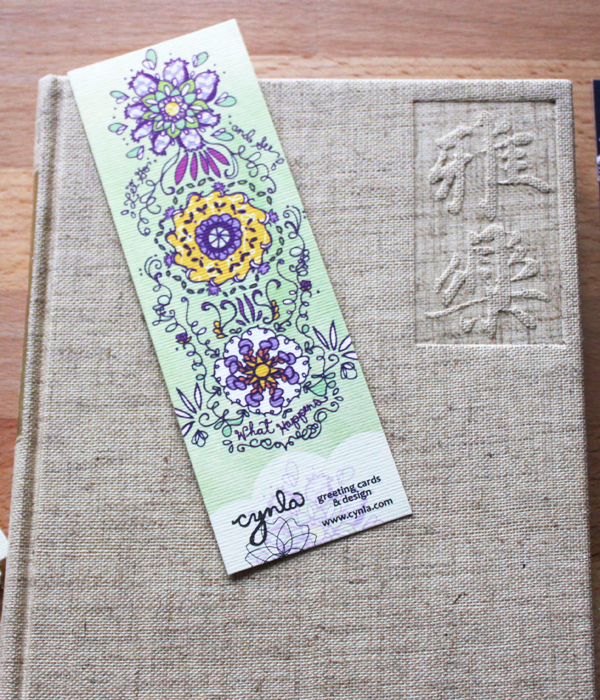 It has a canvas cover with imprinted Japanese characters. Happy Spring! 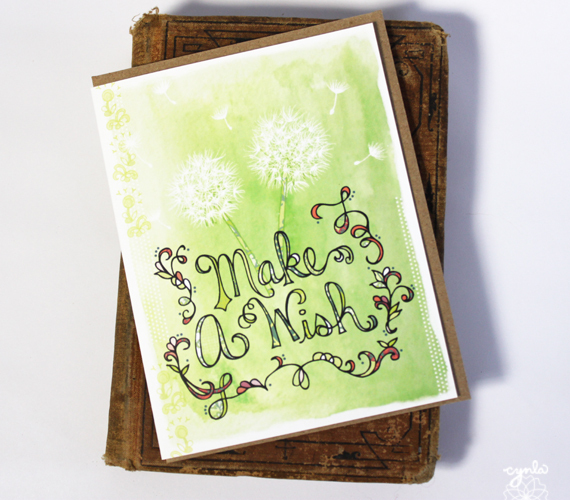 New dandelion card in my etsy shop. Thought it was fitting I put it up today. I’ve been creating a LOT, revamping my logo, working on marketing – all in preparation for the National Stationery Show coming up in May. 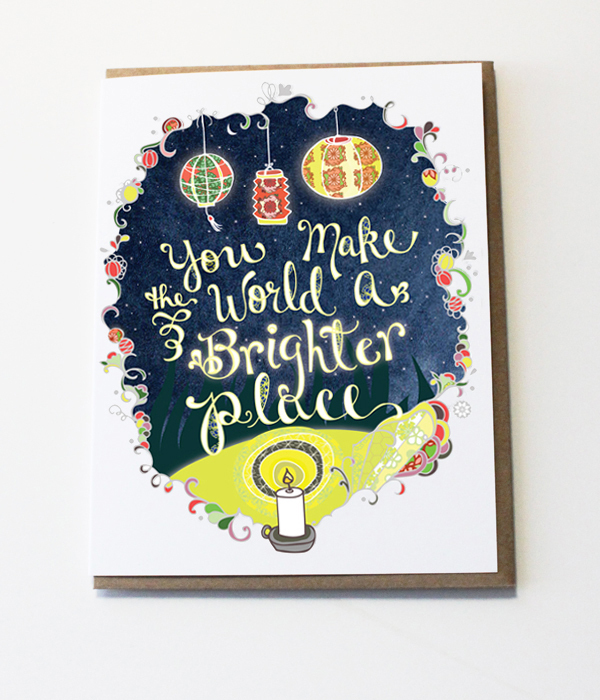 Making lots of wishes too..
“Brighter place” cards and prints are now available in the shop. I’ve been getting a lot of good feedback in person about this design. I really love having it in my home. It makes me think about the potential effect of my designs outside my tiny office. Hope you’re having a bright day!